Pvt. Robert W. Schrick, son of Mr. and Mrs. Bernard C. Schrick, graduated from Cons. No. 11 School, Victory; husband of the former Aleta Harris. 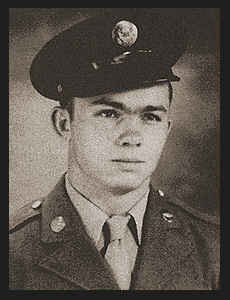 Entered Army in May, 1945, trained in Ft. Knox, Ky., where he is now on duty.